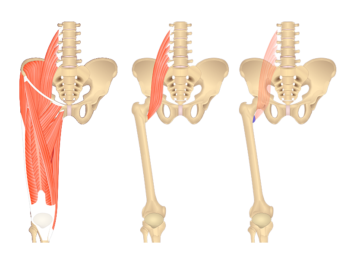 a. Anterior inferior iliac spine and ilium above the acetabulum. a. Quadriceps tendon to base of patella and onto tibial tuberosity via the patellar ligament. 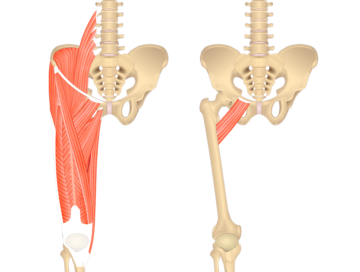 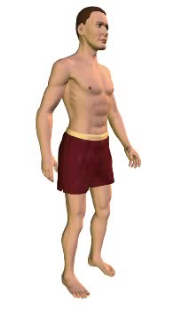 a. Flexes thigh at hip; (also extends leg at knee; part of quadriceps group). 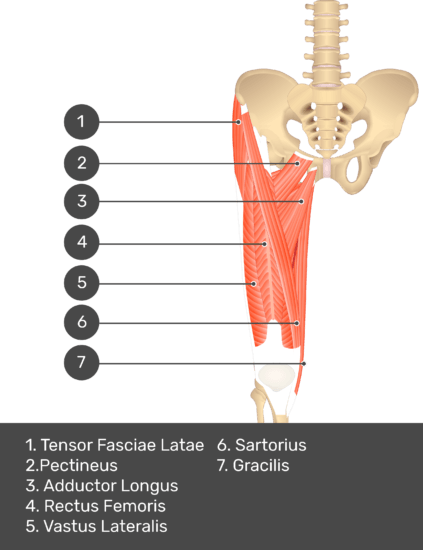 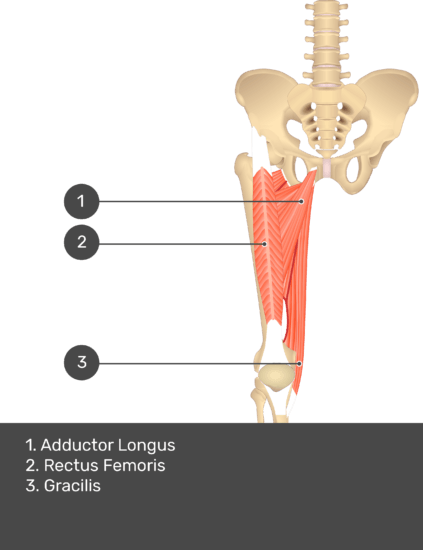 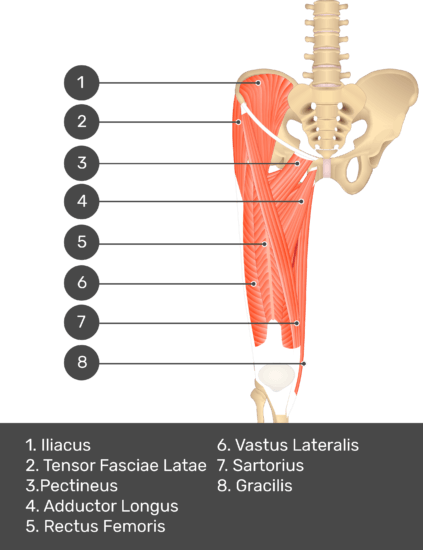 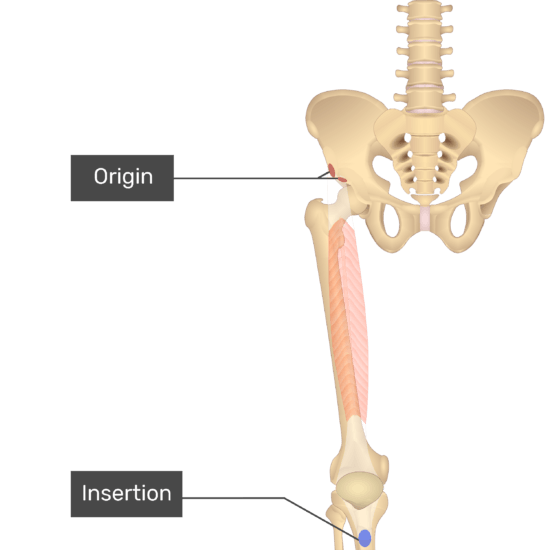 An interactive tutorial teaching location, attachments and actions of Tensor Fasciae Latae muscle using beautiful anatomical illustrations. 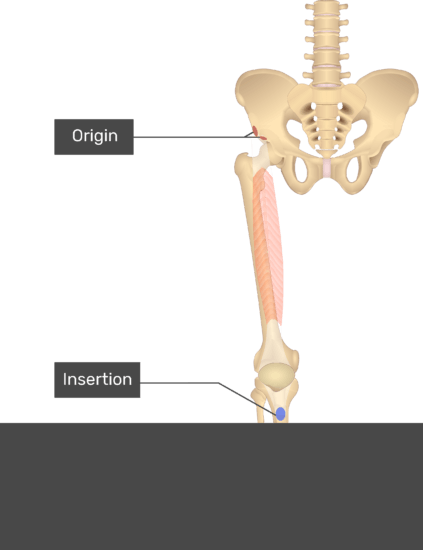 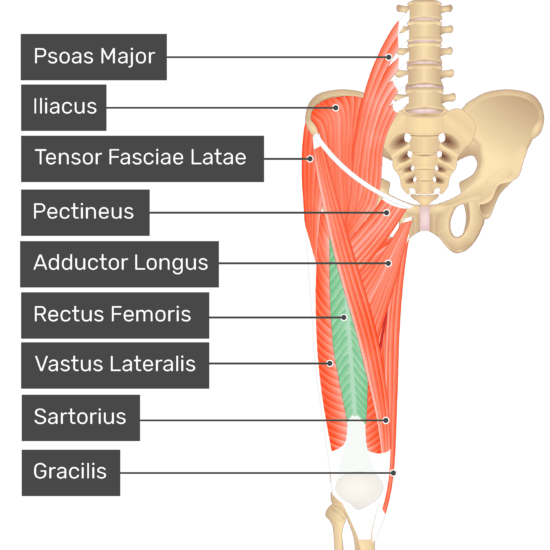 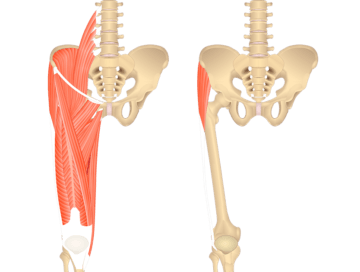 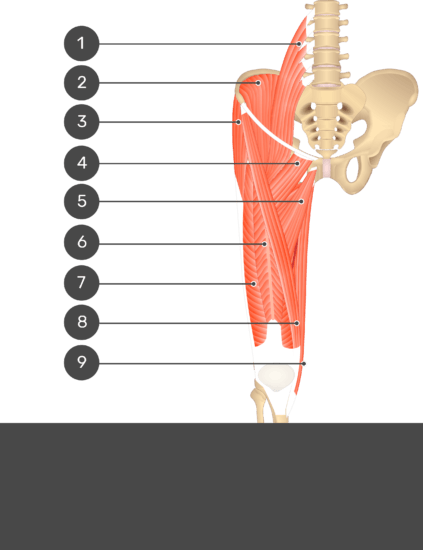 A tutorial on Psoas Major muscle origin, insertion, action and innervation with the aid of interactive illustrations, animations and a quiz. 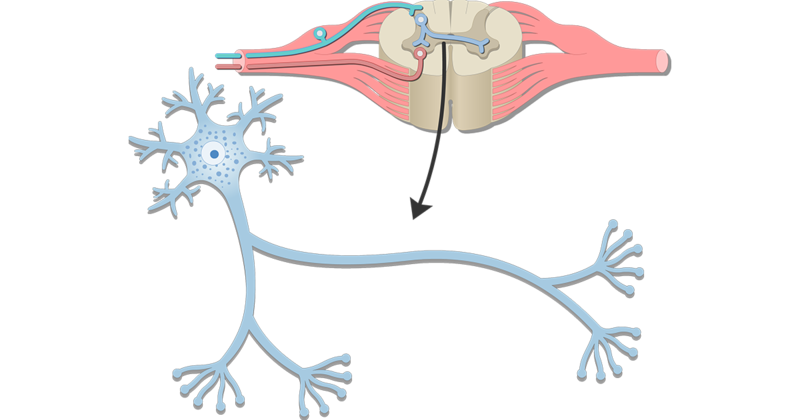 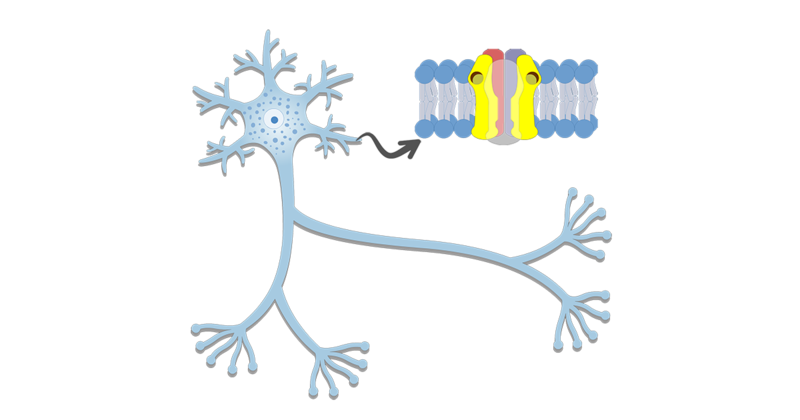 A tutorial covering the position, actions, attachments and innervation of the Pectineus muscle with the aid of detailed anatomical illustrations and a quiz.